It would be lovely if you paid your balance on or before the due date, which can be found at the top of the bill. This date is usually 14 days after your bill is issued. If you pay by Direct Debit and don't receive bills, the due date is the date we deduct from your bank account. e.g. 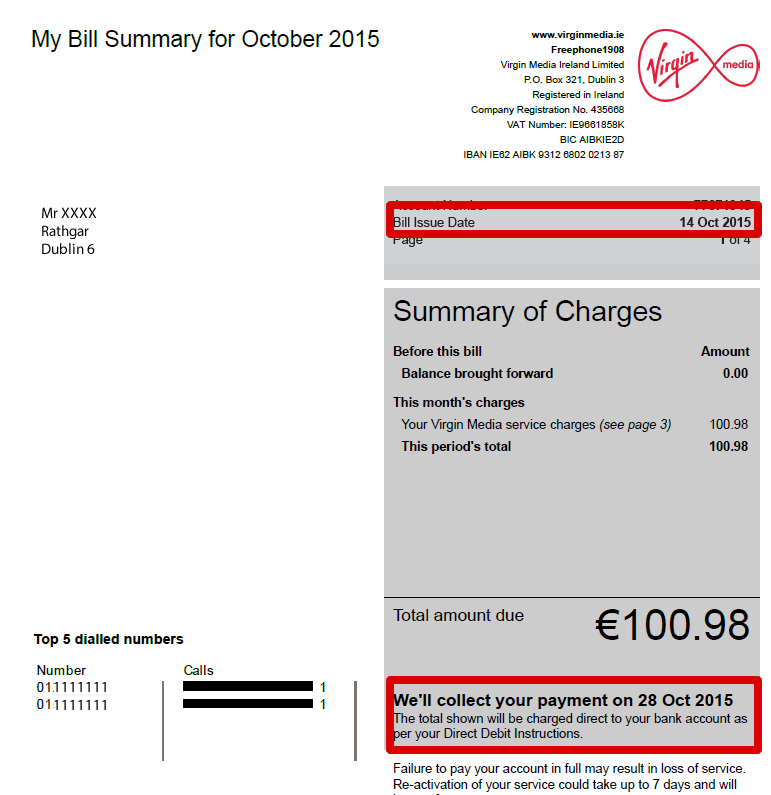 bill is issued on the 14th, therefore the Direct Debit will be paid on the 28th.. Timely payment is essential to maintain full service. It's important to remember that even though the services have been suspended, you will continue to be billed. Additionally, a late payment fee of €12.50 will be applied if you are 3 weeks (21 days) late after the 'bill due' date. Of course, sometimes there are extenuating circumstances. That's why this fee won't be charged until we have sent a notification, and given you an opportunity to rectify the situation before the fee is finalized. There are a number of payment options available to make it easier for you to pay your bill.